And his latest Marvel Legend's incarnation certainly does not fail to deliver. His blister pack reads simply "A skilled assassin armed with sharp, beast-like fangs and claws, Sabretooth is a paid mercenary of evil." 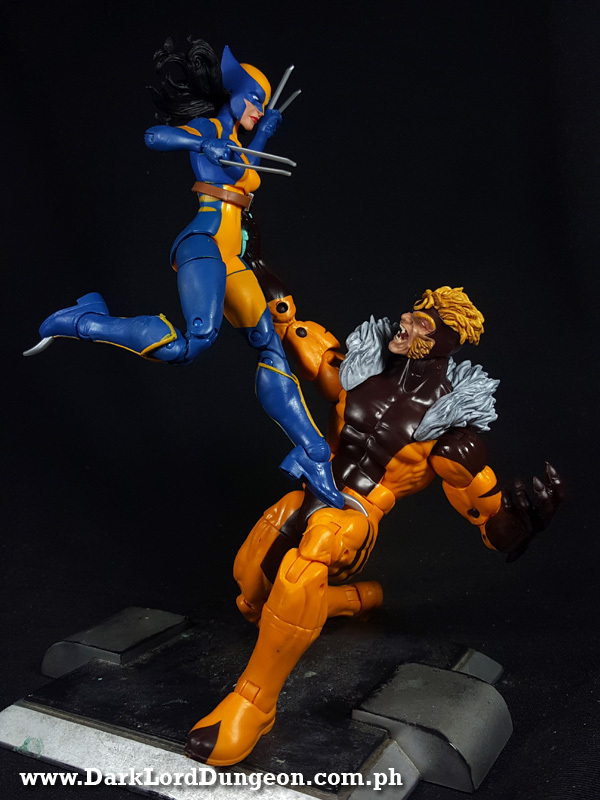 We wouldn't call him a skilled assassin. 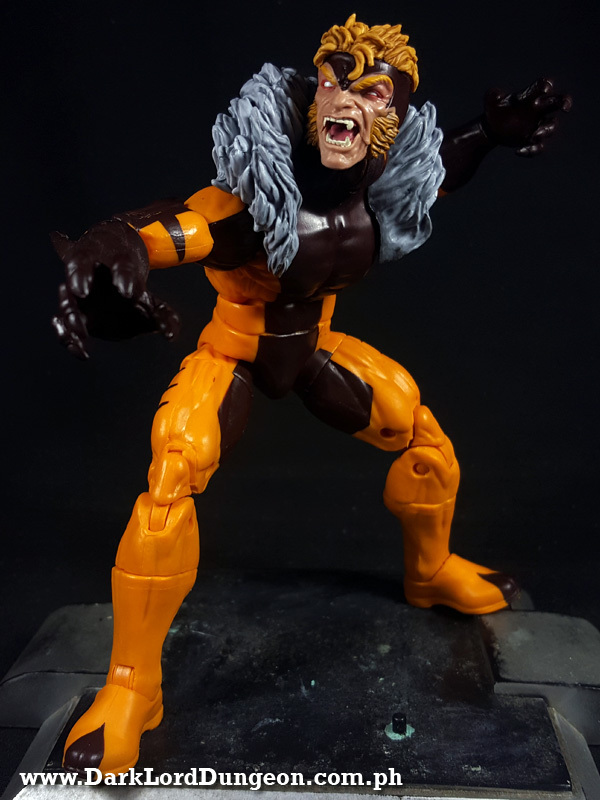 He's more of an apex predator who sometimes decides to be human. 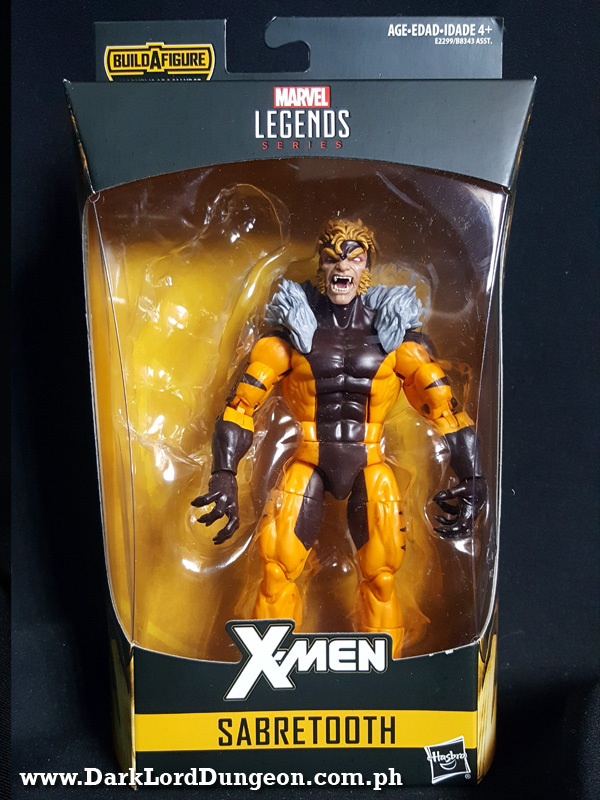 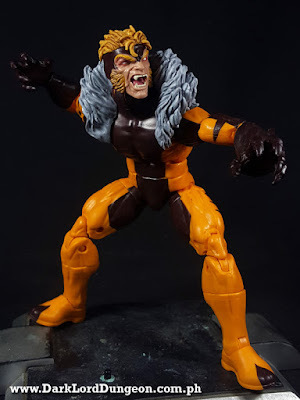 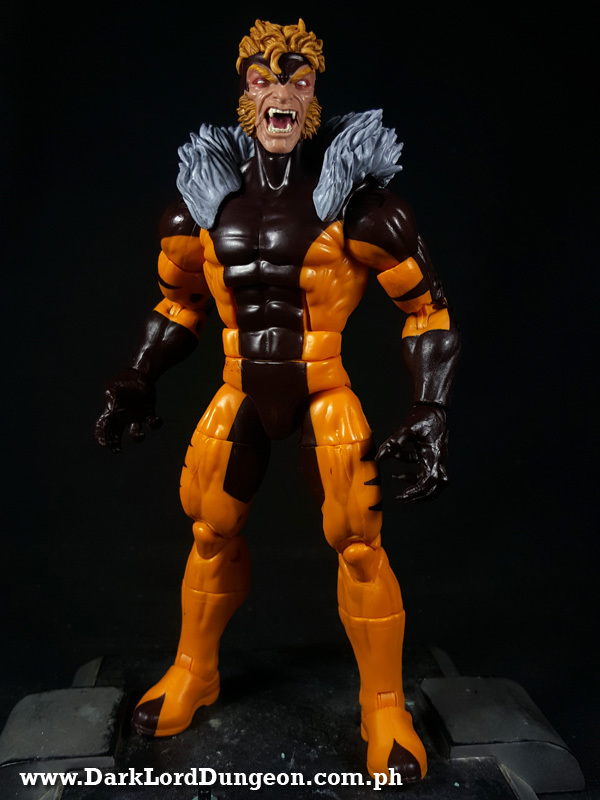 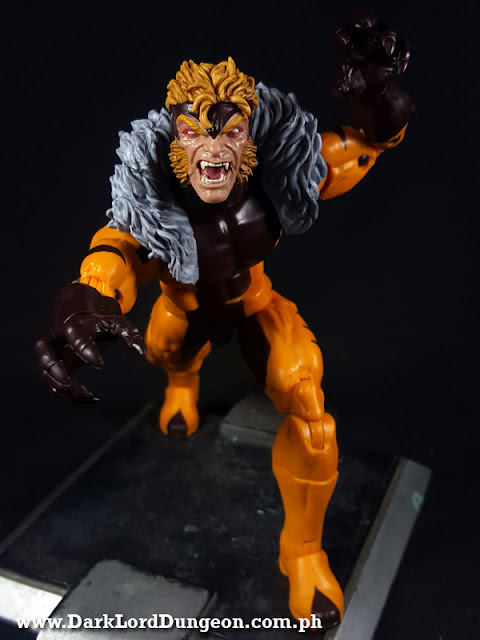 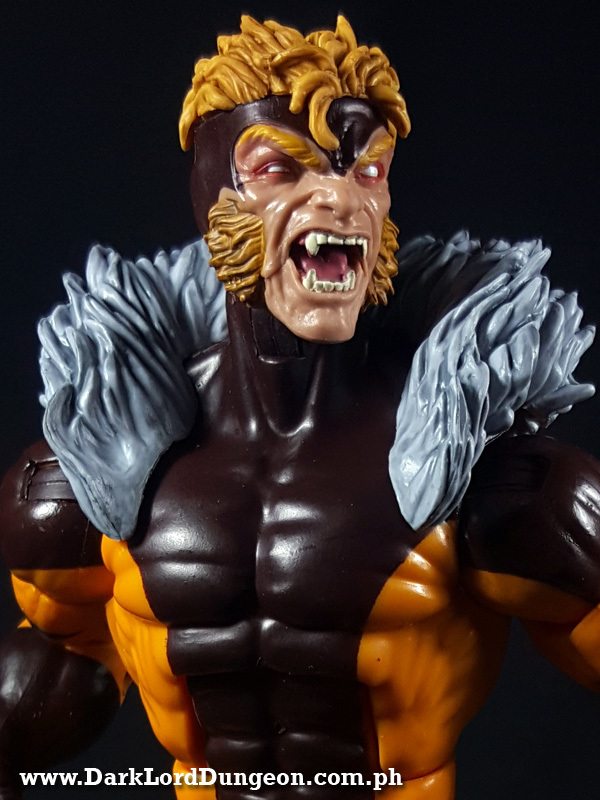 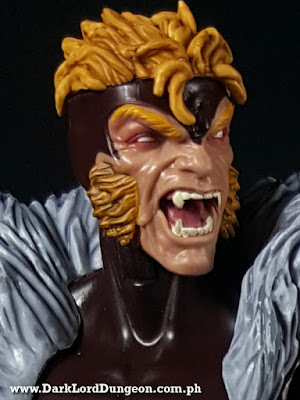 Sabretooth comes as a part of the Apocalypse BAF Marvel Legends Series and came with Apocalypse's Left Arm - which we'd already removed when we decided to shoot him. 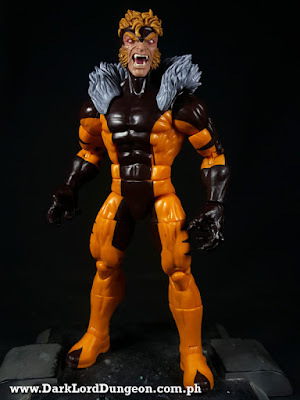 Anyway this was meant to be a short review so despite the fact that some - not all - of his parts are from the Marvel Legend Puck Series Sabretooth, we have to say that this is a vast improvement over that version. 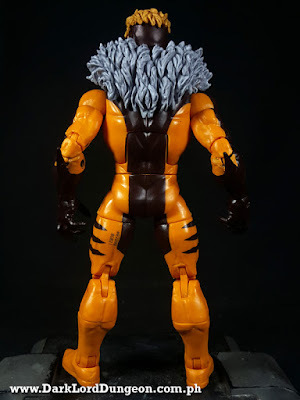 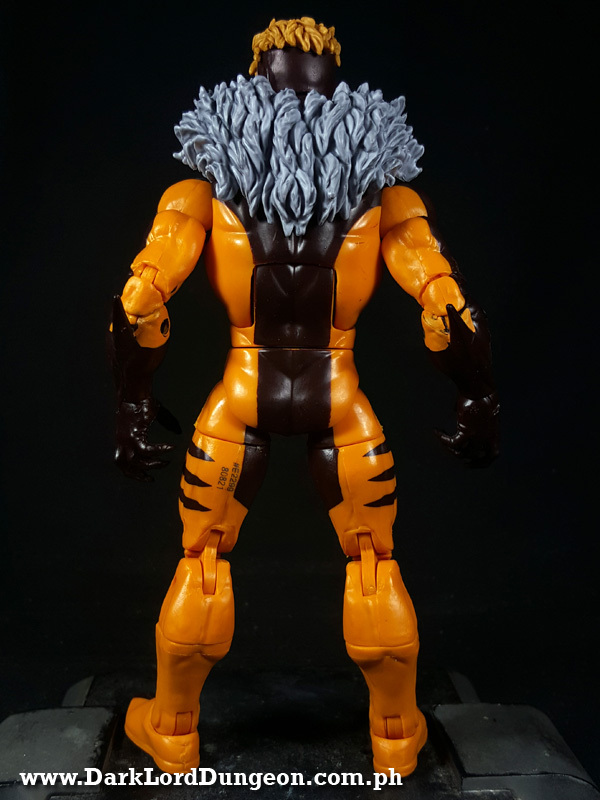 The changes of course include his fore-arms, the mane and of course his face...There was also a Toybiz version of this that came with articulated claws, but.... he always looked... dirty. 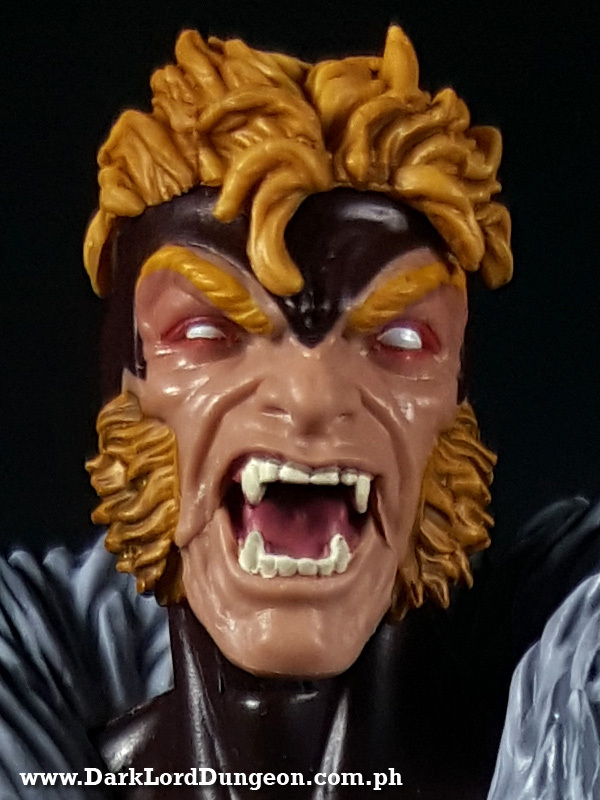 JUST LOOK AT THAT FACE!!!! You see a face growling at you like that? 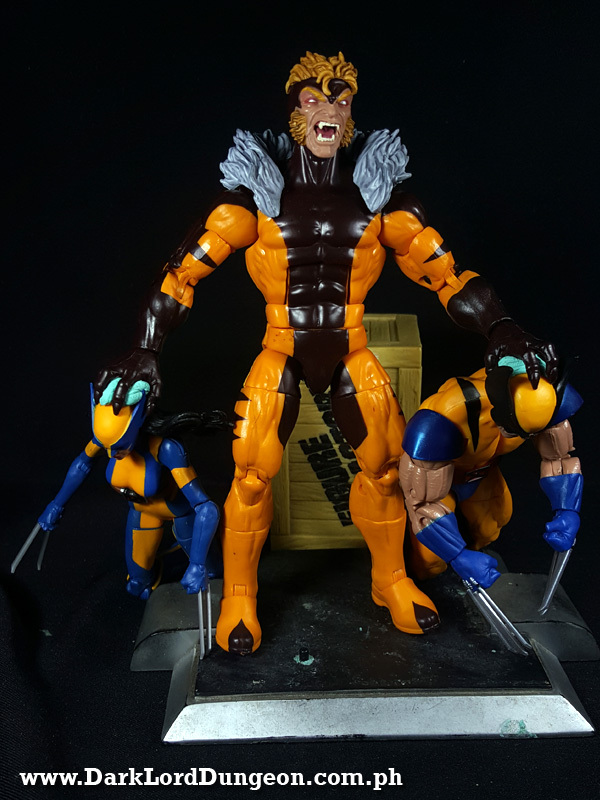 Start running! 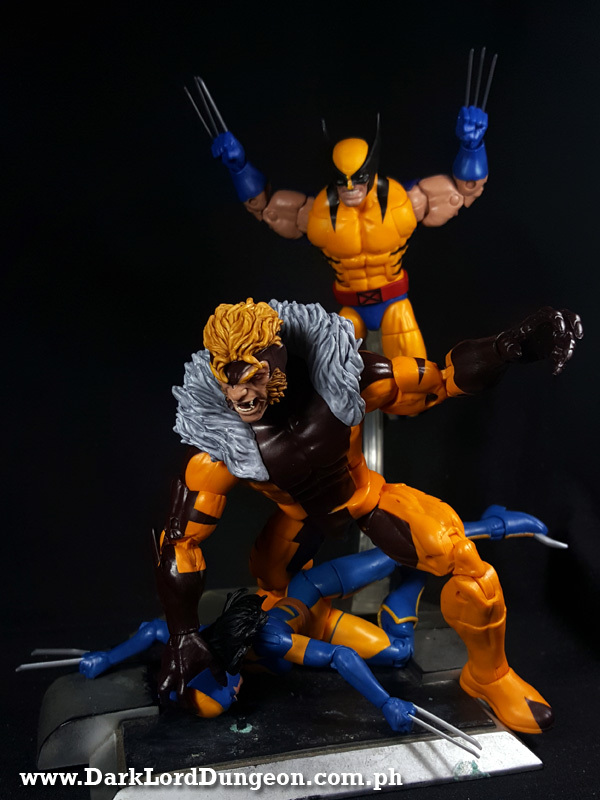 FAST!!!! 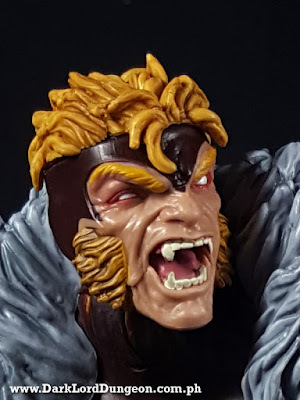 We're particularly fond of how it appears that his lower jaw is segmented, so he can open up much wider and take a bite out of any victim's head.